Motherhood is an amazing thing not only among humans but also in the animal life. These creatures can be as tender and loving as human mothers and even sometimes they can teach us some things about family and care. 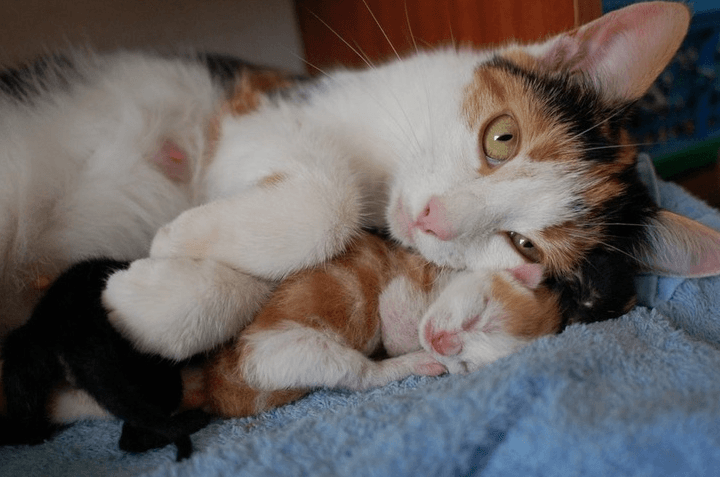 This list is full of touching pictures about animal mothers that will move your heart. 16. 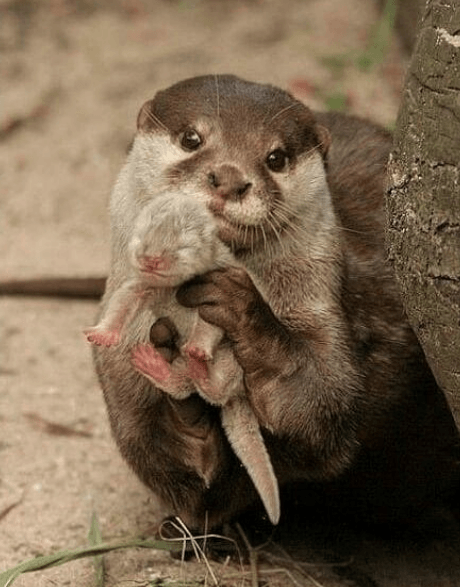 This otter proudly shows the joy of her life: her little baby otter. Definitely it is a really tender moment. 15. 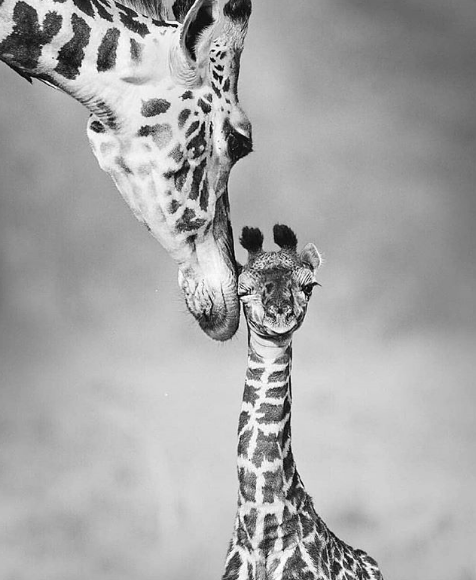 Here you can see a giraffe showing affect to her baby. It is amazing to see how mothers also are so tender in the animal kingdom. 14. Just watch this pair of elephants following their playful son. 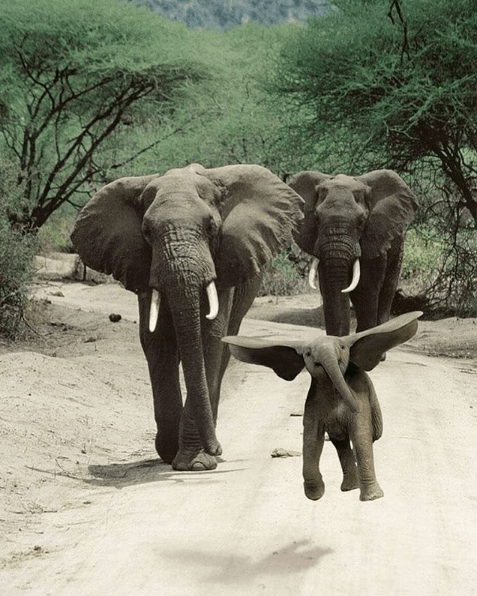 It almost looks like he could fly! His mother must be proud. 13. This mother has a lot of love to give to her four sons and she could even spread the love with some more. 12. It doesn't matter if you make her feel uncomfortable, she always would rather that, than see you having problems to sleep. 11. 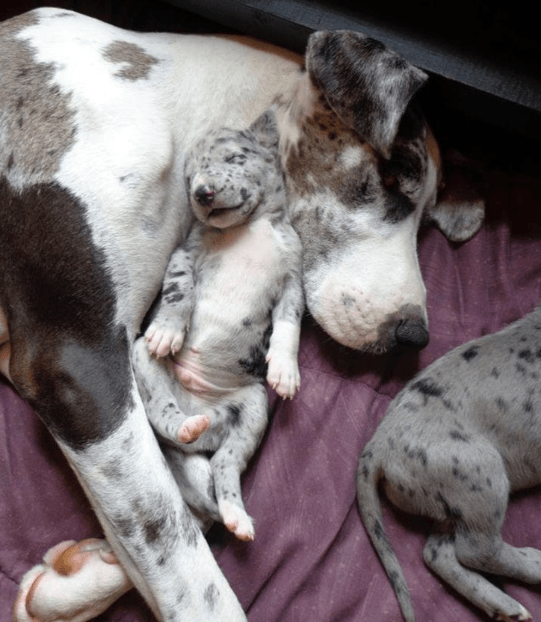 Mothers love when their kids sleep by their side. She always wants to make you feel safe. 10. 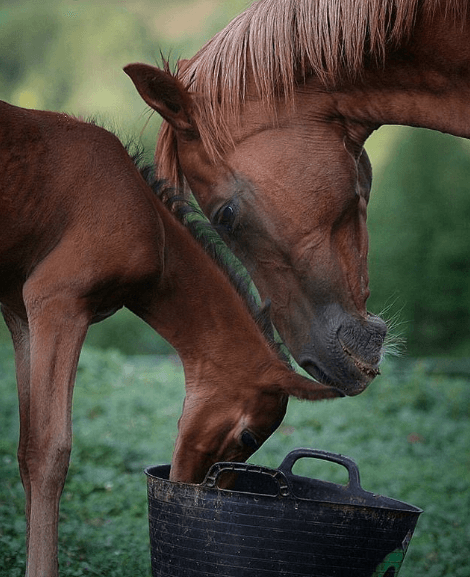 Here you can see this mother horse taking care of her baby. 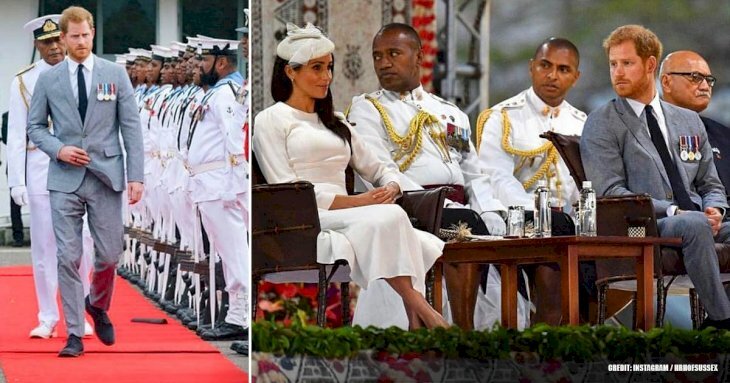 It almost looks like she is giving him some tender advice. 9. 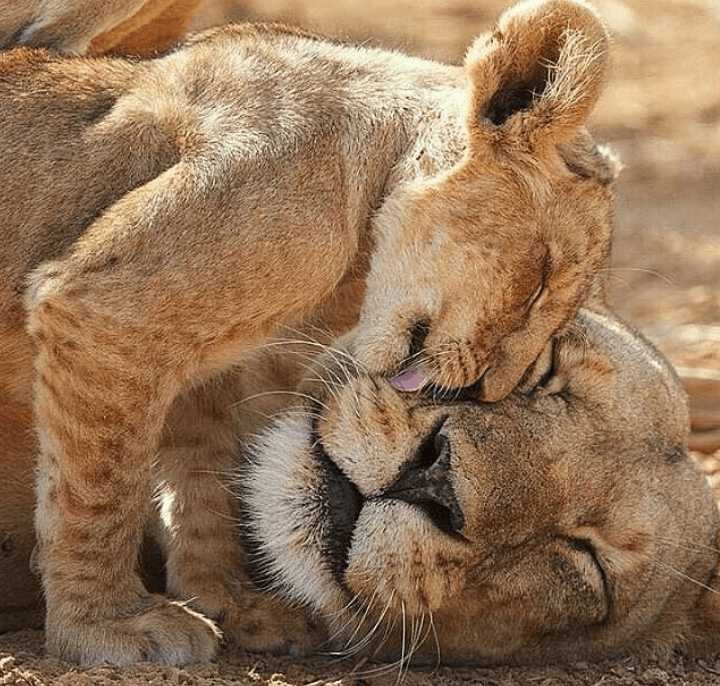 What do you think about this little lion with her mom? It is amazing to see how much tenderness can exist in such fierce animals. 8. 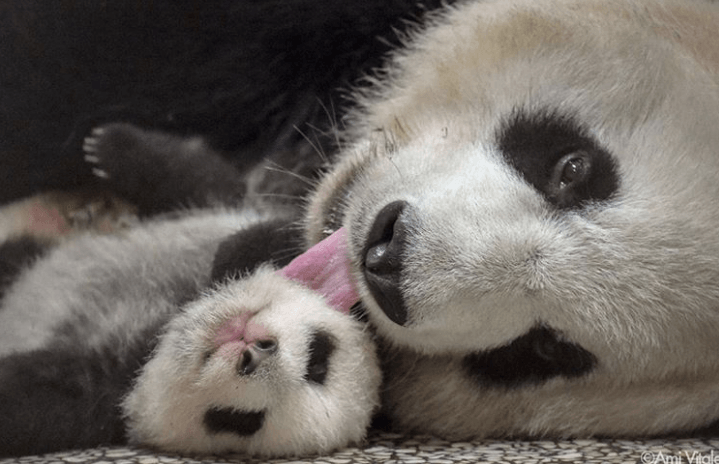 Pandas are literally the cutest animals on earth. They are so naive and cute to each other that is an example for us. 7. 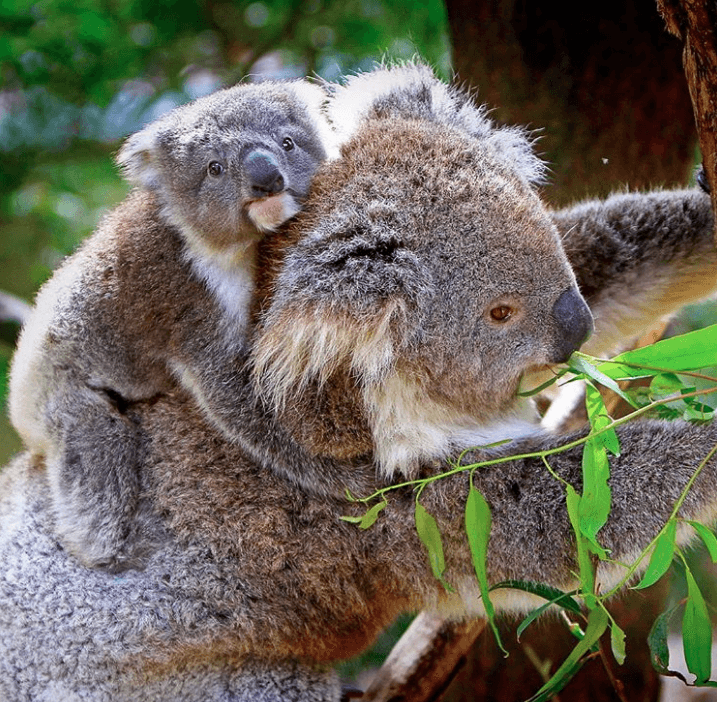 In some countries, people call "koala" to those kids that can't leave their mothers arms. 6. 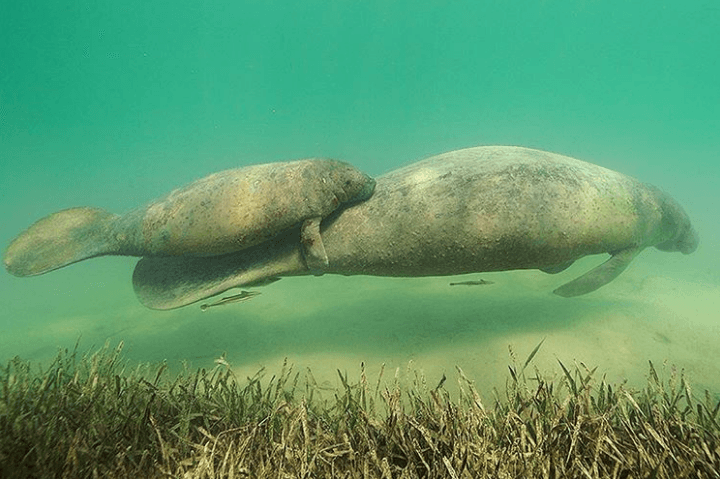 An interesting fact about mothers and sons manatees is that they communicate a lot using chirps and squeaks. 5. 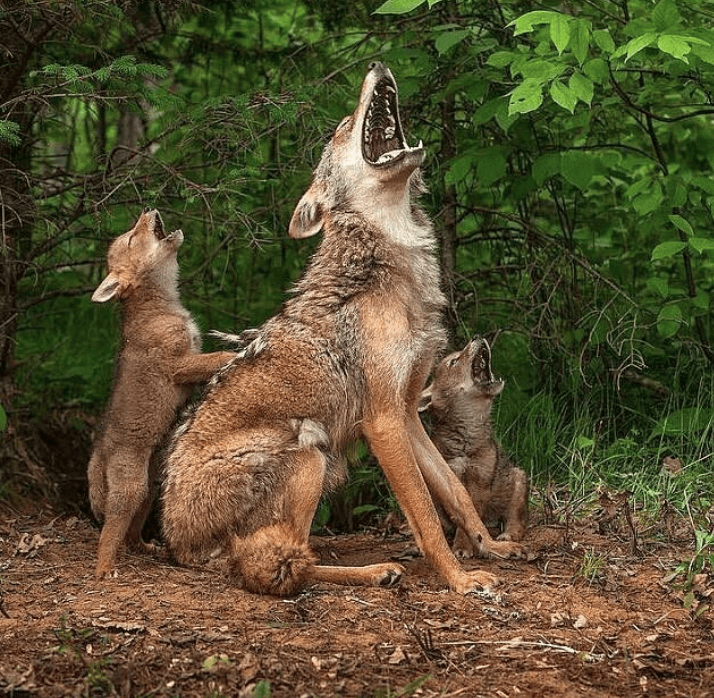 For this mother wolf, their kids aren't too young to learn and she is already teaching them the basic things every ferocious wolf should know. 4. Many people say that cats aren't loving but this picture shows us the exact opposite. 3. Don't dare to mess with this little tiger! His mom is ready to defend him from whatever the threat is. 2. 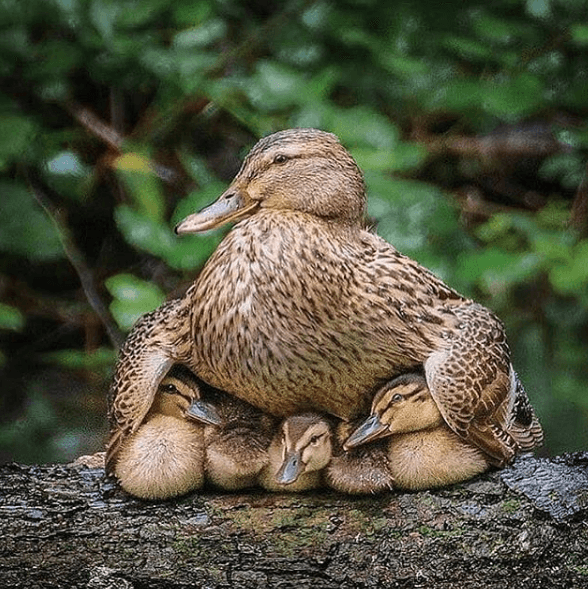 The priority for this mother duck is to keep her babies warm. 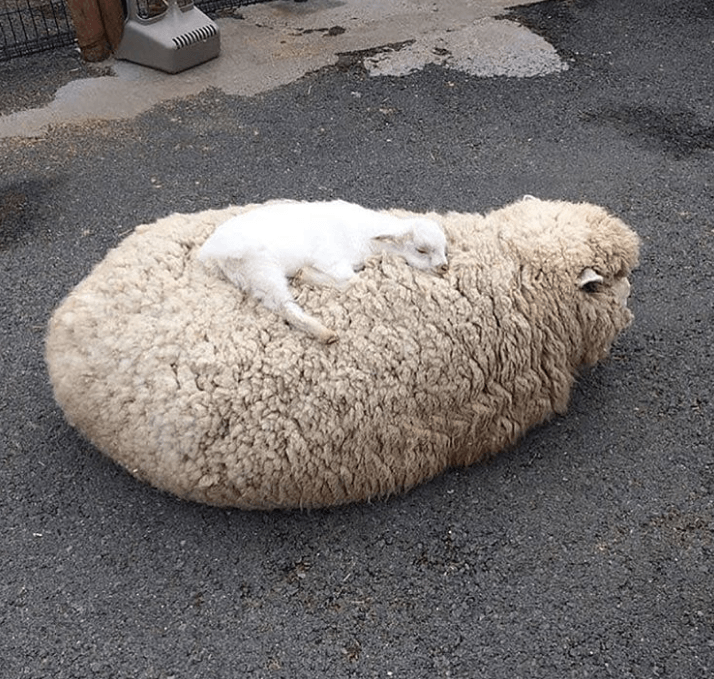 Just like your mother when she put warm blankets over you when you fell asleep on the couch. 1. 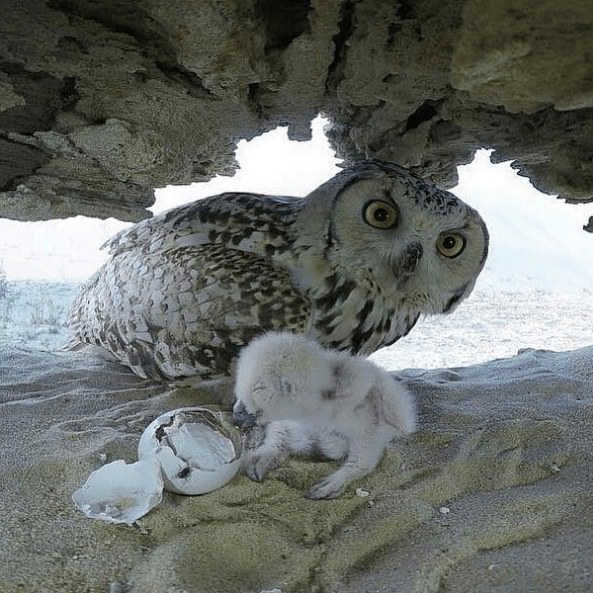 Mother owls give the best care to their young owl chicks for about three months. Then they start to be more independent. Mother nature will never stop amazing us. 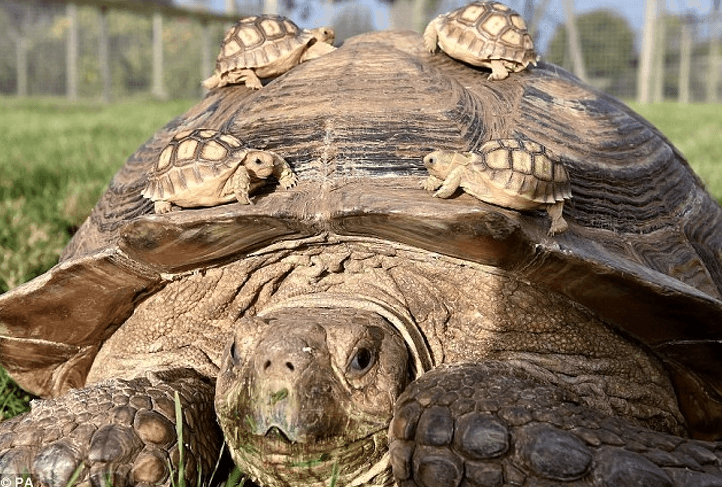 This was just some of the incredible animal mothers but there are plenty more who also are awesome moms. It is something in their instinct that causes them to be so worried and tender with their pups.